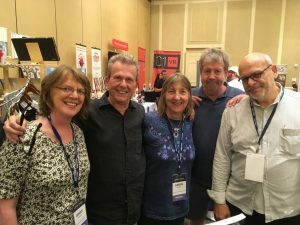 At this year’s annual animal rights conference organised by FARM in Alexandria, VA, I decided against speaking and instead donated my time to my publisher, Lantern Books, and its co-founder, Martin Rowe. This was a great opportunity to share my enthusiasm for books, produced by the preeminent publisher of its kind, with folks who enjoy reading and learning from books about animal rights and vegan, cruelty-free living. I also had a great time because I met up with old friends and colleagues, some of whom I hadn’t seen in decades! I also met for the first time such authors as Jo-Anne McArthur, whose photography in Captive is equally unsettling and inspiring. 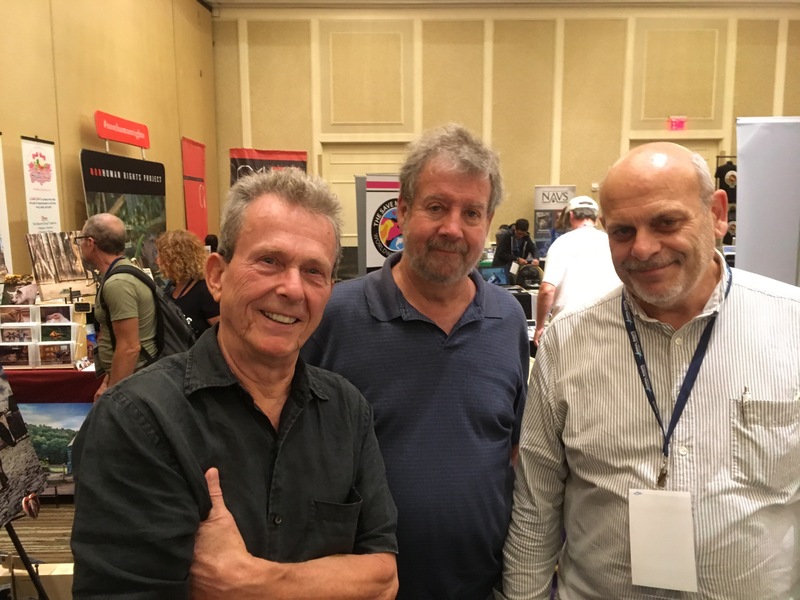 It was great to see again Jim Mason and Doug Moss. I think the last time the three of us were in the same room together would have been in the 1980s. They both played pivotal roles in my involvement with the animal rights movement, particularly with spreading the word through writing and publishing. They also deepened my understanding of animal rights as a social justice issue that was integral to others including feminism and environmentalism. Jim and Doug were friends in Connecticut in the 1970s and involved with the nascent US animal rights movement. Together with others, they established the Animal Rights Network, Inc., which later became the not-for-profit publisher for what eventually became known as The Animals’ Agenda magazine. Doug later went on to found the environmental magazine called E the Environmental Magazine. I became the editor of The Animals’ Agenda magazine in 1993. Sadly, I was its last editor as it had to close in 2002 because it could no longer survive in the depressed economy caused by the tragic events on 9/11 and competition from the emerging World Wide Web. In my book, Growl, I recall how first met Jim at the RSPCA’s Rights of Animals Symposium held at Trinity College Cambridge in 1977. The fortieth anniversary of the RSPCA’s Rights of Animals symposium at Trinity College Cambridge will be this August 18-19. In addition to meeting Jim for the first time, I also met the philosopher Tom Regan and his wife, Nancy, which I wrote about here. In the course of our discussions in the late 1970s and early 1980s, Jim introduced me to feminism and its integral relationship with animal rights. We visited the vegetarian restaurant Bloodroot in Bridgeport, CT that was managed by a feminist collective. He encouraged me to read Women’s Creation by Elizabeth Fisher (1979) and Beast and Man by Mary Midgley (1980). I now see my departure from PETA in 1992 to be a turning point in my life of vegan animal rights advocacy. My understanding of social justice expanded and my role as a social justice advocate deepened. I dedicate a chapter to PETA in Growl in which I consider its strengths and weaknesses. At AR2017 a further impromptu reunion took place when Jim, Doug and I got together with Virginia Messina and Carol Adams. Virginia and Carol were celebrating the publication of their new book, Even Vegans Die (Lantern Books), which they co-wrote with Patti Breitman. In my book, you can never have too many, er, books and the authors who write them, including those who I may disagree with. Yes, vegan, cruelty-free living and animal rights is about ending the exploitation of animals and achieving their moral and legal rights. But it is also about ideas and visions, which we must continuously draw from to learn and grow. This is how we can make ourselves to be even more effective in our social justice advocacy.